Understanding the market is a tricky business. The ups and downs that the market experiences can create the illusion that is never a good time to enter the market. 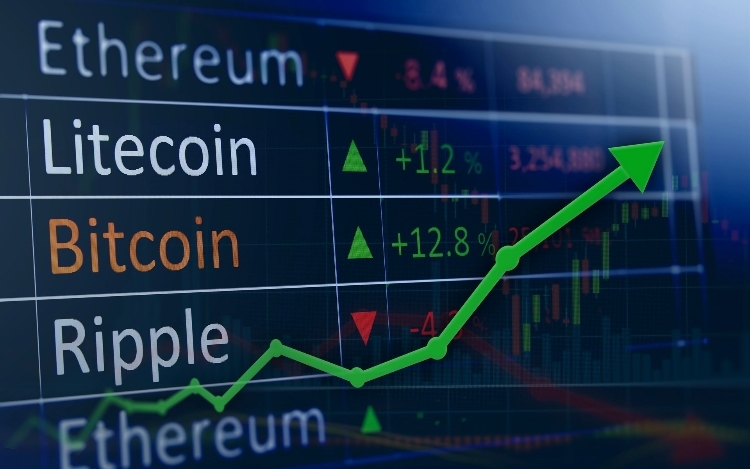 Moreover, reading about the crypto market can lead to trading paralysis, which is when you never enter a market because you are just overwhelmed with information. However, there are ways to understand the crypto market. All you have to do is know is recognize the trading signals. Before you start reading the market, you need to make sure you have the tools required to trade. The most common way to do this is by using a small amount of Bitcoin (BTC) to purchase several other cryptocurrencies. For example, if you take 0.10 BTC you can buy 0.1 BTC worth of 10 coins. That will give you a small entrance on different charts and, ergo, you can make multiple trades at once without sacrificing making significant losses. When it comes to which coins are the best ones to trade, that will be determined by how much capital you want to lose. Remember that when trading any currency (crypto or fiat), you have to be prepared to lose all your money investment. That does not mean that you will always make a loss, but it is better to think regarding risk instead of profits. Because of the nature of crypto coins, it is hard to use standard technical analysis on the market. The large crypto coins present as much volatility as the small coins. That means that following cryptocurrency news is paramount when it regarding understanding when is the best moment to jump into a currency or get out of one. Bitcoin news like Coindesk, Deepdotweb.com, or Bitcointalk.org will give you a good feel for entry points regarding the most stable coins like ETH, BTC, LTC, BCH, ETC, and XRP. Never take for granted how influential how many trading signals the news offer daily. For example, when Microsoft and JP Morgan announced the study on how to simplify the usage of Ethereum for enterprises, indicated the market that it was time to go bullish on ETH. The coin was bound to gain momentum. That is why a good cryptocurrency trading signal is just reading the news sometimes. If you are already are familiarized with news signals, then you can move on to proper speculation instruments. Using Gridcoin Research Charts (GRC) will help you analyse trades quite rapidly and efficiently. A good place that offers graphs to understand when the market is signalling an entry point is our website. So keep it in mind when wanting to use the following technique. Once you have chosen the coin, you want to find a good buy in point (or entry point). The best one is when you see a hammer on candlestick chart. The hammer is a bar with a short real body, a barely visible upper shadow, and a long under shadow. The colour of the real body has to be green or white as that will mark the start of a bullish rally. A simple selling point is seeing flat bars. These bars mean that the market has hit the resistance band and will bounce back pretty soon. Knowing how to find market signals when reading a chart is necessary to be a successful crypto coin trader.